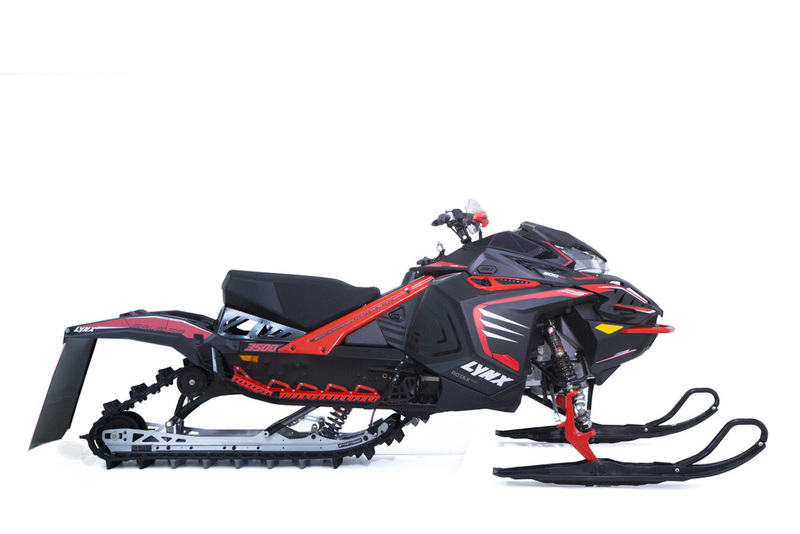 BRP introduced the new Lynx Rave RS 600 race snowmobile for the record high audience of 18,000 visitors at the Rovaniemi Snowmobile Exhibition. 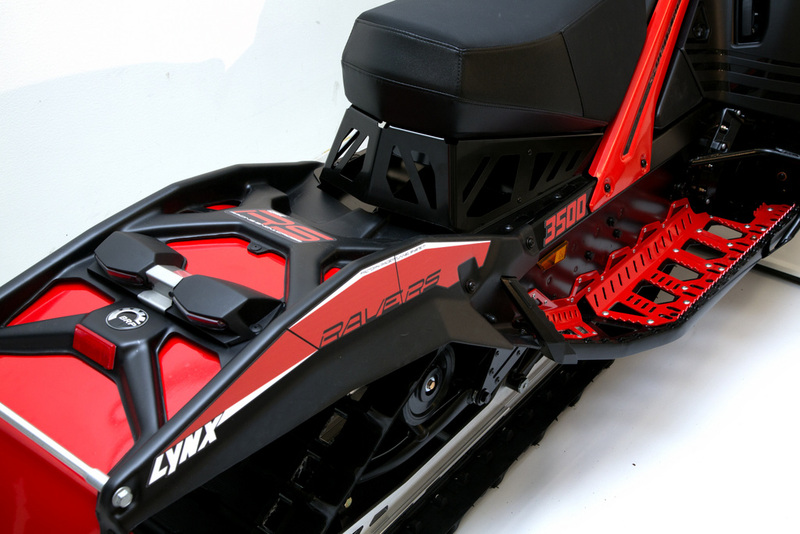 The most visual change in the new Lynx snowcross sled is the new rear of tunnel. The aluminum tunnel has been shortened, and the rear part is made of polyethylene. The new tunnel design makes the snowmobile withstand rough racing situations better. In the case of a mild rear end collision, the rear part is flexible, unlike an aluminum tunnel. In the case of a breakage, the rear part is easy, quick and inexpensive to change. The running boards are more horizontally positioned for improved control. The pilot can more easily move closer to the rear part of the running boards and the center of gravity stays low. Also, the running board supports are new, giving extreme grip and strengthening the running boards. The edge profiles of the running boards are attached by riveting, which makes changing them easier. The toe hooks have been renewed as well. The side support provides more control in corners. The toe hooks are still height adjustable. 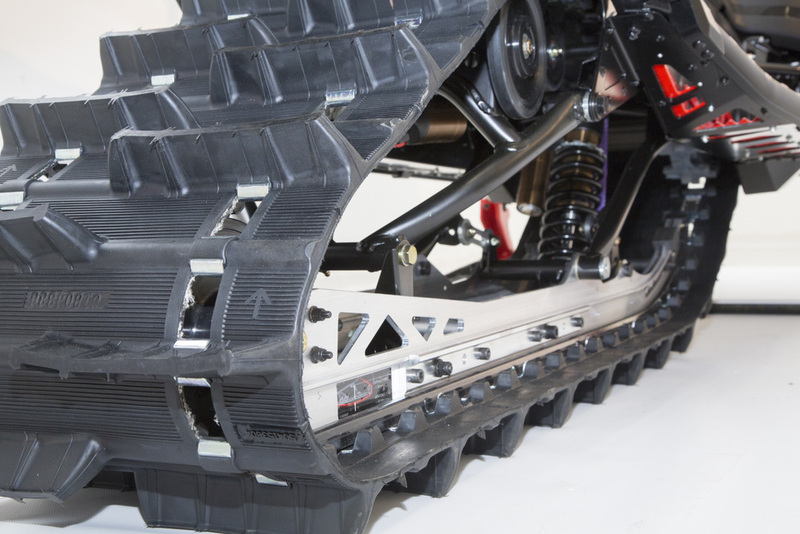 The new PPS²-3500-R rear suspension with 3487 mm track length, is a whole new version of the legendary PPS² rear suspension. The rear arm is located closer to the rear wheels. Also, the front arm is updated. The connection rods of PPS swing have been upgraded to stronger ones and the aluminum front limiter strap axel has been replaced by a steel axel. The geometry of the front arm is new, and it allows using lighter center spring without sacrificing performance. The updates of the rear suspension make weight transfer more controlled and provide improved handling in corners as well as better acceleration. The rear arm attachment point design prevents lateral movement of the rear suspension, providing more controlled cornering. The new ECU mapping is made for better acceleration and mid-range power. Thanks to longer gearing (23/51 vs. MY18 21/51), sled pulls stronger and faster than before. RADIEN-RS-design: The new rear chassis is made for a 3500 mm track. Rear part of the tunnel is made of polyethylene. It prevents tunnel from bending in a case of a tip over rear-end collision. PPS²-3500-R REAR SUSPENSION: 3487 mm track length. Longer track provides more stability and better acceleration. 3) Running boards are more horizontal, which makes stand up riding and moving on running boards even easier than before. 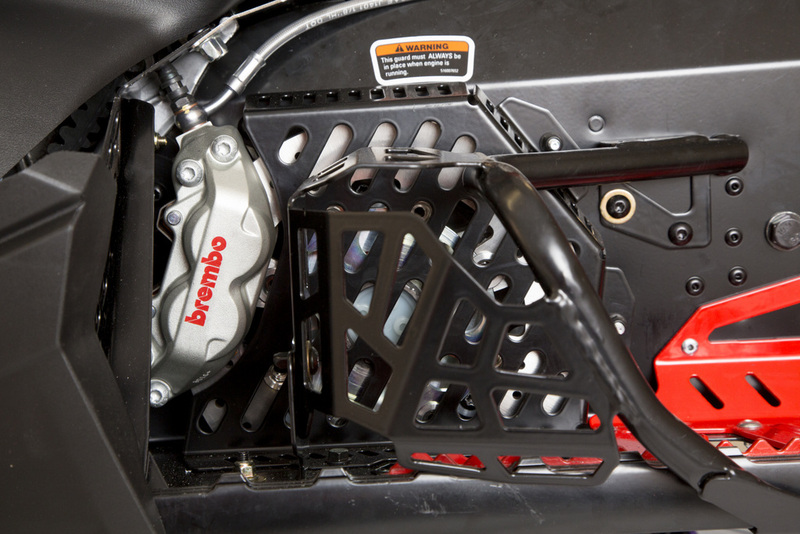 TOE HOOKS: The new design gives improved support when cornering. Toe hooks are located more forward than before for better cornering. 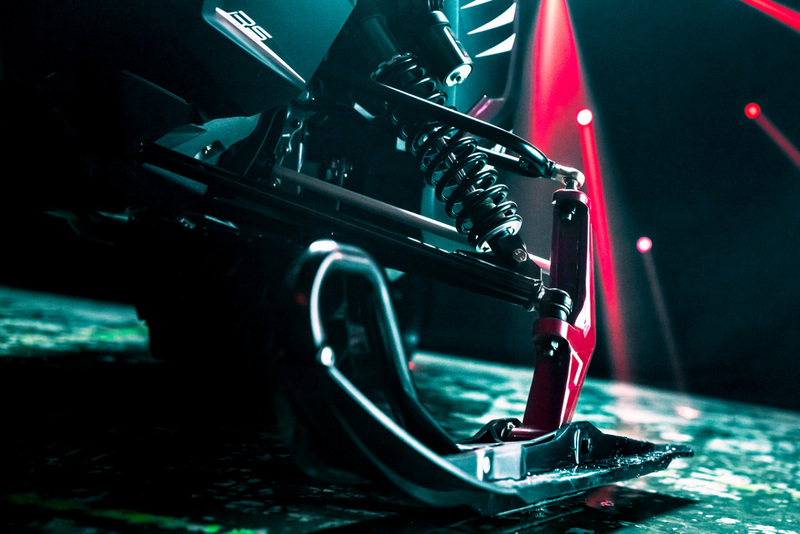 Thanks to the newly located toe hooks, the rider has more room to move forward in order to get more ski pressure when corneringPILOT RACING SKI: The new ski is tailor-made for snowcross. 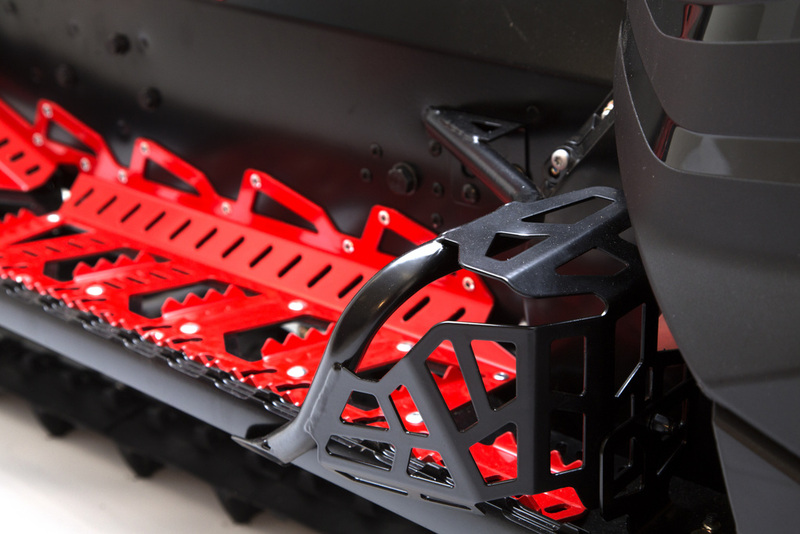 It is taller than the previous ski, providing improved stability.ECU MAPPING: Throttle response is crispier, and acceleration is faster than before. BRAKE: The brake disk diameter is 220 mm. Brake disk cooling has been improved and the brake piston is located more forward.